Instagram kidnap: could it happen to you? Olia Kedik, also known as Olia Moda, is a Russian fashion blogger based in San Francisco, California. Her Instagram account was hacked in early August 2018, and hackers bribed her to pay 350 dollars to get it back. 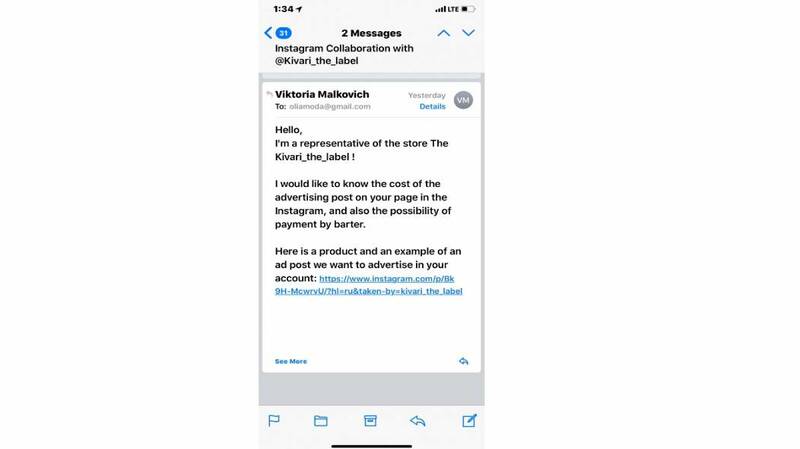 She received a ‘collaboration email’, the kind that bloggers get to post sponsored content, that invited her to click on an 'Instagram' link to see a preview of the collaboration. She recalls clicking on it and landing on a page that asked her to log in to her Instagram account. “I checked out the brand, sent them my quotes and media kit and went on with my day”, she recalls. “My heart was beating a mile a minute. I quickly went to my computer to investigate and found the same result. I found an email from Instagram saying that my email was changed. I clicked on the button that says 'If it is not you click here to revert it', but it did nothing”. “I clicked and clicked and realised that I was in deep trouble. How could someone so easily take complete control of my account, my brand, my business?" recalls Olia. Bloggers are among the more than 25 million people that have business profiles on Instagram. "Influencers with about 100k followers can earn thousands of USD dollars per post", an American 'Instagram star' who prefers to stay anonymous told Euronews. By the time of the Instagram kidnap, Olia had invested 4.5 years in the making of the account and had 100k followers in the line. Her username, password, and the email connected to the account were all gone, so she decided to fill out the missing account form on IG help page, feeling hopeless on a Friday afternoon. 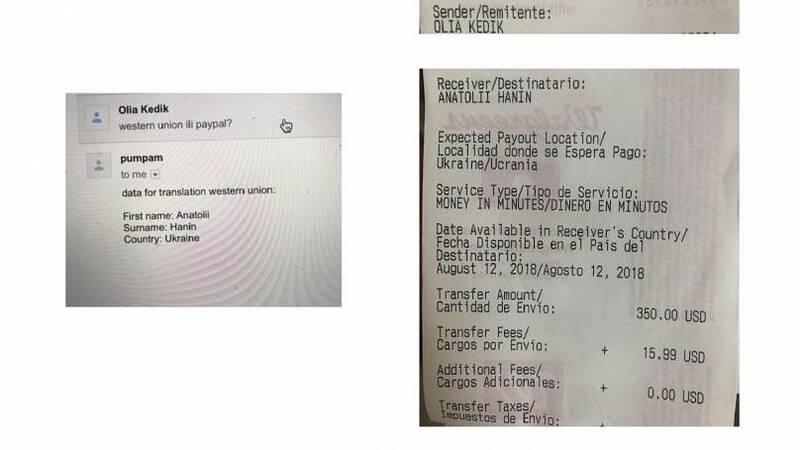 She soon discovered an email with the subject line HACK, where the cybercriminals demanded money via bitcoin, threatening to delete the account if the transfer didn’t go through. For Olia Moda “this is when the real nightmare began”. The blogger was able to contact someone who once worked at Facebook, who advised her to fill out the ‘hacked form’ and wait until Monday. A note she said pushed her to act upon the situation. 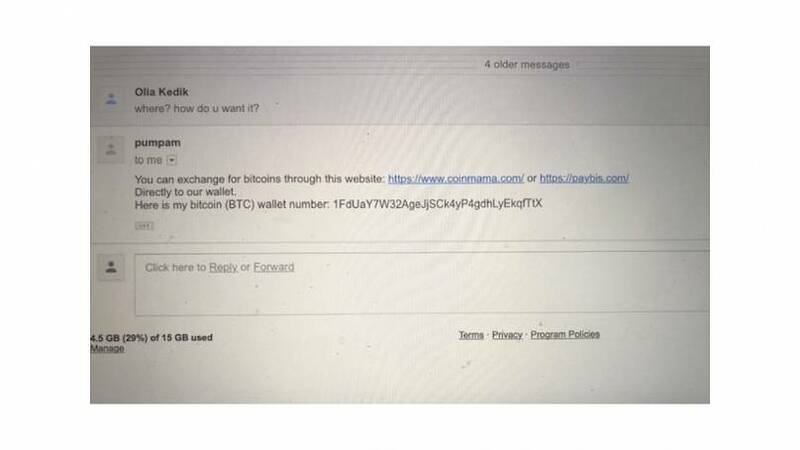 Olia decided to negotiate with the hackers to send them money via Western Union, not bitcoin. Hoping to get back her account. However, she got nothing in return from the hackers. 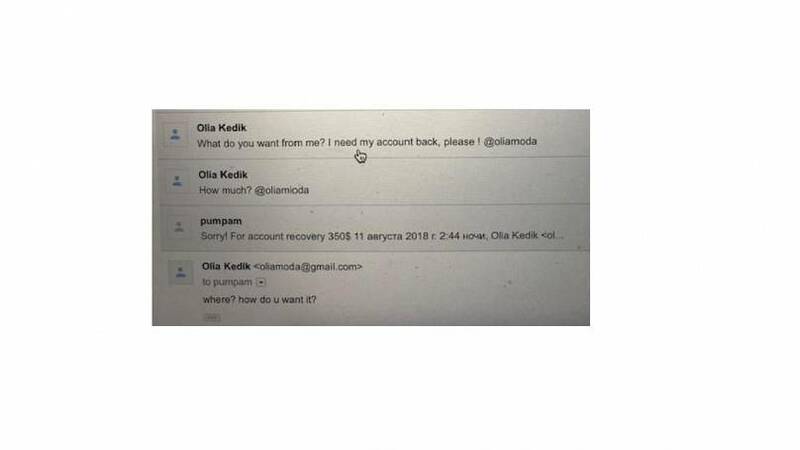 Olia Moda recovered her account with the help of her Facebook contact 72 hours after she filed her case. But "I know some girls had to wait a lot longer as they did not have such connections" explains the blogger to Euronews. The Instagram kidnap episode saw a few victims the same weekend, influencers D'arcy Vandenberg, Raelyn's Roulette, and Peppered in Style were among the affected. The hacks occurred at the beginning of the weekend when getting in contact with the platform is almost impossible. 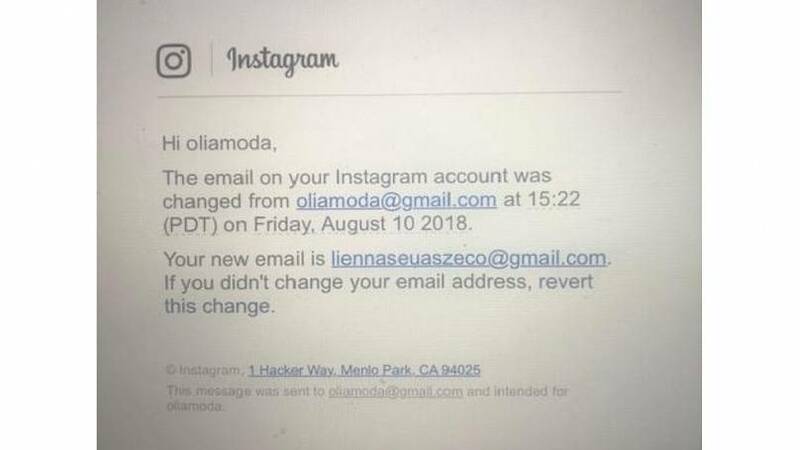 Like Olia Moda, they all received a fake email that prompted them to log into their Instagram accounts. 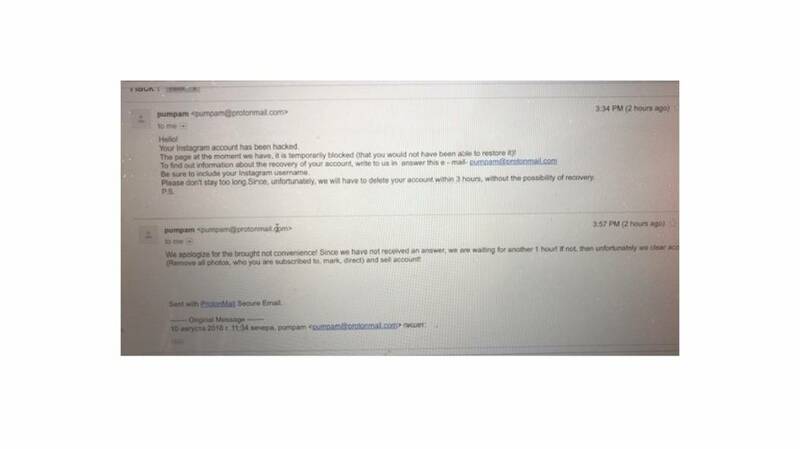 Followed by an email saying their email had been changed, then a 'hack' notice and finally a demand for money in order to get back the account. Peppered in Style paid the ransom via bitcoin and got back her account from the hackers, D'arcy Vandenberg decided not to pay and rescued her account with Instagram's help, Raelyn's Roulette, like Olia Moda, paid but received nothing in return and got her Instagram with the company's help the week after. "These hackers are clever and can trick even the best business eye," says Olia Moda. Both Instagram and Facebook have announced major security breaches in the last year. What does the picture-sharing app have to say? "We do have a number of methods in place for people to recover their accounts, and we use advanced technology to detect when an account may have been hacked, and to notify the user. We are also working on a number of techniques to keep bad actors at bay," said Instagram to Euronews. The company advises users to pick a strong and unique password with a combination of at least six numbers, letters and punctuation marks; revoking access to third-party apps and turning on the two-factor authentication, among other things. Instagram says it is possible to restore accounts in-app. Here are the steps you can take if you've lost access to your account, according to the tech giant. - The next page will give you the option to send a password reset link via text, or enter your email address or username to receive a password reset to your email account. - The next page will offer a support form which allows you to add the email address used when you signed up to Instagram, as well and other information to help recover your account. 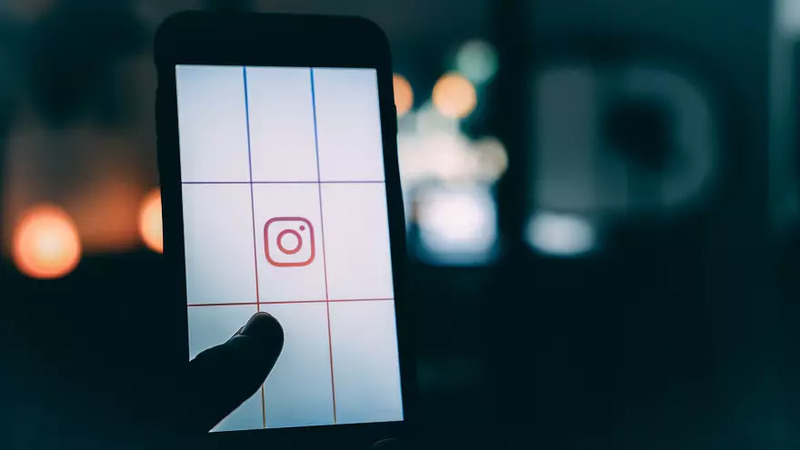 Instagram ensures that when they become aware of an account that has been compromised, they shut-off access to the account and put on a remediation process with the user. However, neither Instagram nor Facebook indicated if there is an emergency line users can call while their accounts are in danger. But they say they "work hard to provide the Instagram community with a safe and secure experience."